What is the Spanish Identity Theft Scam? Home > Popular Scams > What is the Spanish Identity Theft Scam? As far as scams go, this one really hits hard. It preys on all our human emotions, and for people who don’t know any better, it can be devastating when it all goes wrong. Also known as the simple lottery scam, the Spanish identity theft scam is another email scam that promises big winnings – in return for a small investment. Basically, it sends its victims an email telling them they have won £100,000, £500,000, £1 million or even more in (usually) an overseas lottery. 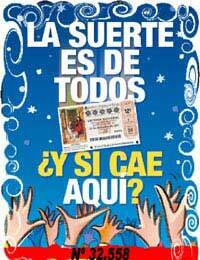 The scam originated from the El Gordo Spanish lottery, the biggest in the world, hence its name. Then there’s a catch. The email says that there is been some sort of mix-up or wrongdoing with the claims agent, and that only way for recipients to receive their money is to send a cheque covering various processing fees so the money can reach its way to them. Often, the email also asks recipients to keep the win secret until they have received their final payment. Of course, to scammer will then ask for the victim’s complete personal details, as well as banking details, to wire the money to their bank account, once the processing fee has been cashed. In a nutshell, first you lose a $25, £50 or £100 “processing fee” – then you lose your identity – and eventually the entire contents of your bank account. You might find it incredulous that anyone could fall victim to such as scam. But almost 10 per cent of all adults in the UK have, at some point or another, fallen victim to some sort of scam or another, according to statistics provided by the Office of Fair Trading. And now, there is some evidence that people are receiving letters via snail mail telling them they have won the UK Lottery sweepstakes, letters which use the real address of Camelot, as well as the real names of Lottery officials who actually work there. If you get such a letter and you haven’t bought a Lottery ticket, bin it. If you have, phone Camelot – the number you see online, not the one on the letter or email – to verify it. If it turns out to be bogus, bin it as well. Did I buy a ticket? How could you win a lottery without having purchased a ticket? Some emails say they have randomly chosen people to win a prize: this is bogus. Are there any fees involved? Genuine and legitimate lotteries will not require winners to pay processing fees, or fees of any sort. Is it April? El Gordo is announced during the Christmas season, so be wary if you are told that you won in the middle of the year. Are there other prizes, apart from cash prizes, that you have supposedly won? El Gordo, and virtually all other lotteries, give out cash prizes only. Have I been asked to keep my winnings secret? Why would that be the case? Legitimate lotteries survive via word of mouth - they would never ask winners not to divulge the fact that they had won. Why would they? The Spanish identity theft scam is just one of many lottery scams designed to prey on unsuspecting folk and rob them of their identities. If you did not buy a lottery ticket, chances are you haven’t won! Keep in mind as well that if the email is badly written, asks for money upfront, or is signed by someone purporting to be a Spanish representative with the name of Chuck Woodruff, then you have grounds to be very suspicious indeed! My brother died a number of years ago, he didn't have any money so that isn't the problem. Recently a birth and death certificate, both copies, turned up a unscrupulous relatives home and I have my suspicions about him taking my brothers identity. Although I won't personally do anything about it I would like to know if it's possible to find way to find out if this was the case.